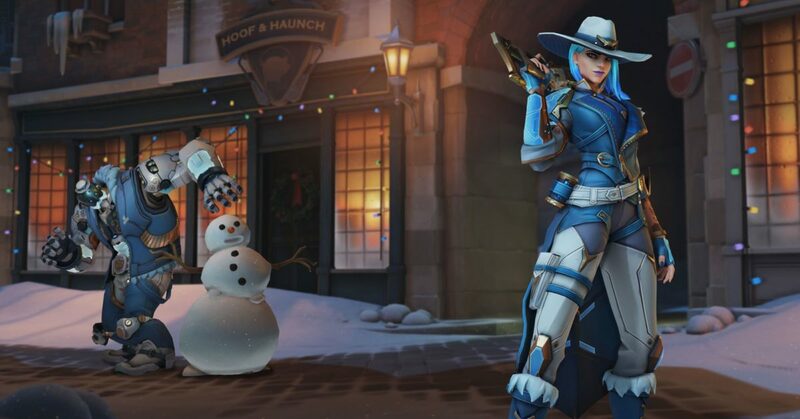 Overwatch Contender team Second Wind released a new player to his list just before the new year, but the player in question quickly received negative attention from Overwatch esports fans. A new player hit the top 10 ranks on the Overwatch NA server and was revealed to be a player known as "Ellie". Second Wind had recently lost some players and needed to fill a track on their list and was eager to board "Ellie" to the team. When the "Ellie" placement was announced there were several people in the Overwatch community who asked the secrecy involved. Ellie was the only player on Second Winds roster who didn't have their full legal name on the official Overwatch Contenders page. Threats to her dox soon followed. Shortly afterwards, Ellie pulled down from Second Wind roster. After examining the matter, we found that "Ellie" was a fabricated identity and is a smurf account – created by a veteran piano for to confuse their identity. The owner of Ellie's account is a player without current or past involvement with any Overwatch Contenders or Overwatch League teams. "Ellie" was never formally submitted to Second Wind's active roster and never played in a Contenders game. As part of the process of officially adding a player to a Contenders or Overwatch League list, we make background checks to ensure that players are the ones who say they are as well as meeting other qualification requirements, and will accept opponents if we discover any behavior that guarantees it. Second Winds's management has posted a long statement on TwitLonger, which summarizes the situation from their perspective. According to Second Wind Management, they didn't know Ellie's identity before Blizzard's background check. As soon as Ellie was announced, there were many questions about the legitimacy of the player. We traveled out to Blizzard early to confirm their identity and praised suspicion of our newest player and did the best we could for the time being. During this time, we worked with Ellie to improve their public presence by lining them up for interviews, streams, and encouraging an environment where they could play with other team members in public. This happened unfortunately through due to Ellie choosing "personal reasons", we didn't want to print them. Ellie started receiving doxxing and personal threats because of their anonymity. In an attempt to respect Ellie's privacy request, we contacted Blizzard not to have his name published on the Contender website. As a team, we admit that we treated this badly. More could have been done to support our players, but we had found ourselves unprepared for the attention Ellie got on her boarding; we had full faith in them. Unfortunately, due to our desperation to fill a list, we overlooked important information that should have been more aware of. We have not sufficiently allocated enough time to communicate with the public as a means of supporting our players, and as a result, several issues that could have been avoided. Ellie decided to go down on her own, and shortly after, we announced their departure from the team. Today, Blizzard had returned to us on the basis of Ellie, warning us that they were not who they claimed to be, and discovered that the Ellie account was being used for purposes we do not support. We regret the community as a whole so as not to handle this situation better when we should, and we should aim to do better. Madeline Ricchiuto is a gamer, comic book enthusiast, bad horror filmmaker, author and generally sarcastic man. She also likes cats and is now Head Games Writer at Bleeding Cool.